Two-piece Yurmanesque Style Earring and Necklace 2-tone Set. Oval sets (pictured above) are SOLD OUT. Quantities are limited. When they are gone, that's it! Beautiful 2-tone Earrings with crystals are clip. Match bracelet BR116. 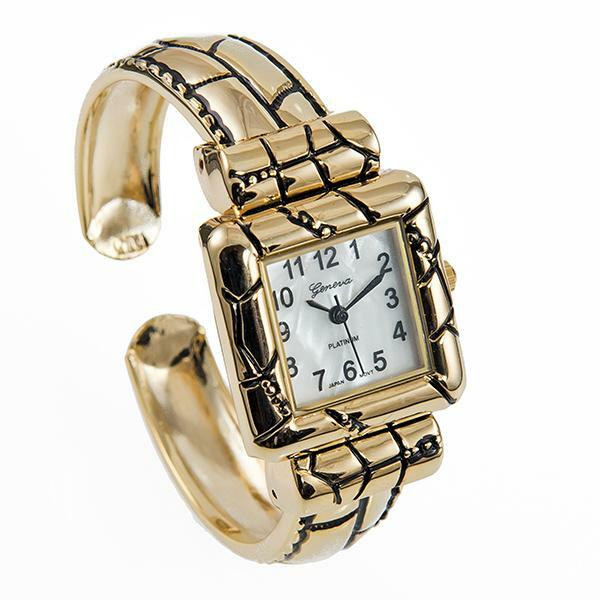 Golden animal print inspired watch. This cuff watch is a animal print textured band. Japanese movement. 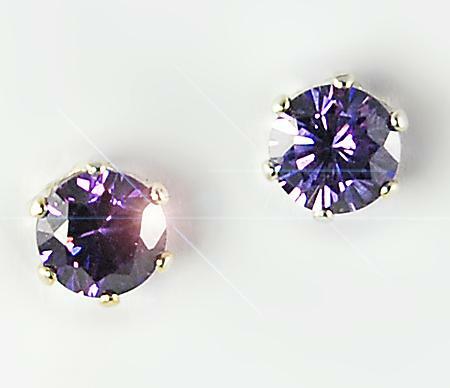 Round Amethyst CZ (cubic zirconium) Post Earrings in Silver. A large 2 ct. CZ each (4 ct. total weight). A great match to our RA90 Ring.